Today I popped into town with my hubby to pick up a gift for his aunty for her birthday. While we were there I had a very quick browse in Lush and bought two bubble bars as I have run out of my stash. The bubble bars are my favourite type of product from Lush because I find that the do the most in terms of creating bubbles in my bath while still making the water a pretty colour. The two that I picked up were Ultraviolet and The Comforter. 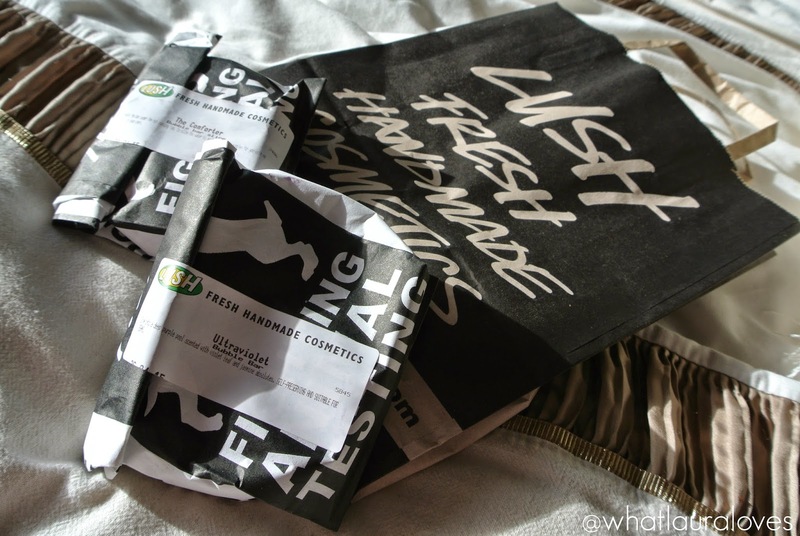 The Comforter is an old favourite of mine and so many people who shop at lush. It has the most beautifully sweet smell which is my most loved type of scent that they do. It is fragranced with cassis absolute and bergamot which gives the bubbler bar a blackcurrant scent. If you like Rockstar Soap or Snow Fairy Shower Gel then you’ll love this. 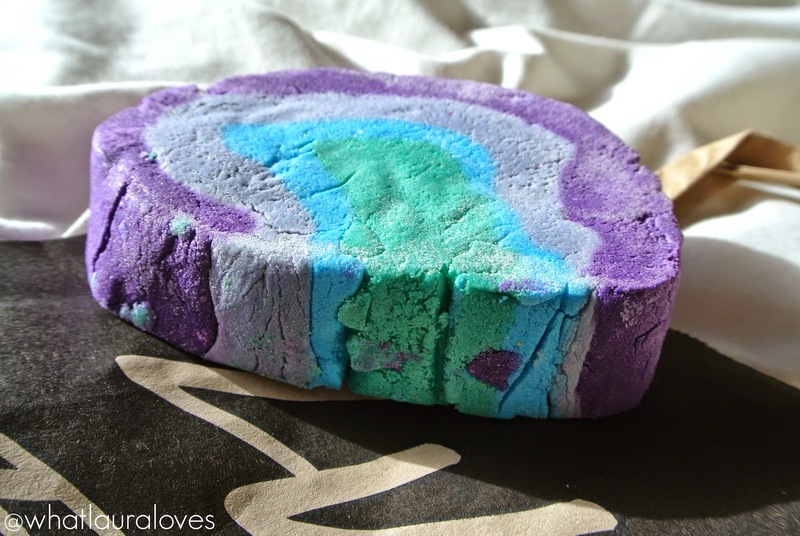 Ultraviolet is a new product to me as I haven’t spotted it in Lush before. It is scented with violet leaf and jasmine and smells just like Parma Violets. I love that nostalgic sweetie smell so I’m hoping it really fills the room with scent when I use it. These bubble bars were £4.75 each which I don’t mind paying as I do get about 3 baths out of one of these. They’re the largest bubble bars that Lush sell and those with a normal sized bath could easily get four or five baths out of them. When I say ‘normal’ I mean a bath designed for one person… we have a huge two person jacuzzi tub left over from the previous owners which is a nightmare to fill and literally drinks bubble bath like theres no tomorrow! I can’t wait to use these and get back to having proper Lush baths every week. I’ll do a review on each of them once I’ve had the chance to use them. Love how you chose this for your Aunty…she is lucky to have fabulous niece picking out her present! 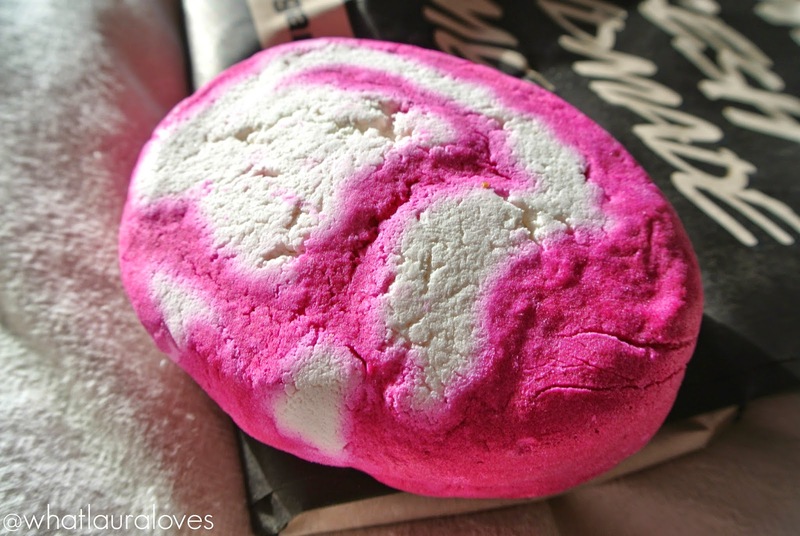 Can't wait for more Lush reviews!